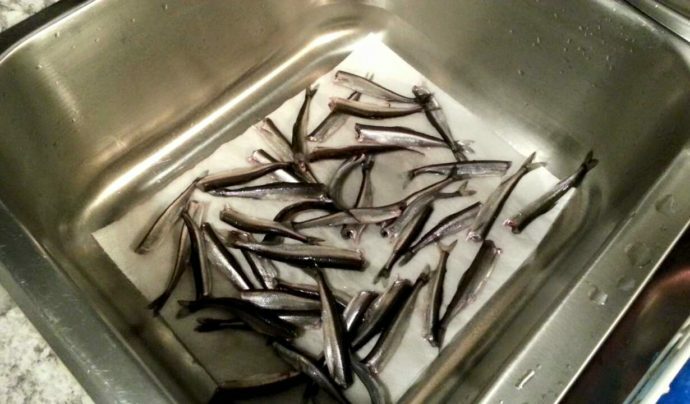 It’s only a matter of days before the excitement of smelt fishing season becomes a buzz. A tradition that has been going on for years and has remained strong deep within the roots of most Northern Ontario families and Native cultures. This will be my second season of smelt fishing, inspired by my younger cousin and Algonquin native Austin Vautour. Something about spending late nights to early mornings in a fresh water stream makes you feel at home. 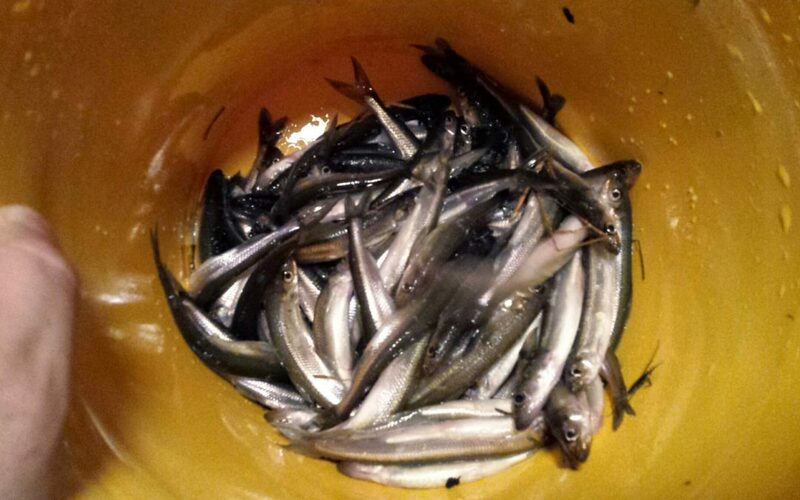 Last season I had great success with over 1 gallon of smelts caught. I will start going out for smelts this Sunday. The weather is warming and the creeks are running. At this point we are just waiting for the water to warm up and the ice to retreat away from shore about 30 to 40 feet. Typically smelt start and continue to run from 10pm to as early as 4am. I will keep you updated on the Back lake Fishing Facebook page. I just move here in Northbay, and would love to go smelt fishing. Where can I go? And when? They are great for eating and bait fish. You will be looking at Trout Lake and all the creeks that lead into the lake. Many people find tons of smelts walking up and down the shores of the lake following streams up you will find them everywhere.